Every Ogre needs some peace and quiet, even Shrek! Now that Shrek is the newly discovered hero to all of the fairy tale characters, they have over-run his home sweet swamp and are begging for his helpâ€¦after all, he is the strongest, meanest and greenest ogre around. In an effort to live happily ogre after, Shrek embarks on 36 missions in four never-before-seen worlds. 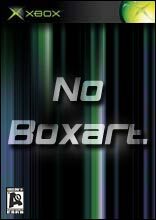 Bring TGS and X06 Home on Xbox Live!! Midtown Madness 3, the latest in the popular Midtown Madness franchise, allows you to get behind the wheel of more than 30 vehicles while competing in exciting race modes such as Blitz, Checkpoint and Cruise. With a robust Career mode featuring 14 dr..
World War II exemplifies the single most horrific chain of events in human history. The mere thought of the War continues to strike fear in the few remaining soldiers who were present for the horror that was World War II. Digital Illusions looks to c.. The award-winning Battlefield franchise explodes onto the Xbox, dropping players into the heat of battle with Battlefield 2: Modern Combat. 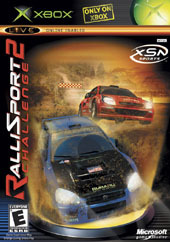 The game brings the over-the-top action and excitement of the Battlefield series into the modern era with a bl..
RalliSport Challenge 2 is the highly anticipated second installment in the critically acclaimed RalliSport Challenge franchise, and itâ€™s the first racing title in the XSN Sports lineup! After spending more than a year in the garage, RalliSport Chal..
Mud, snow, rain, dirt, all at 150 MPH, on the edge of control, with one big huge grin on your face. 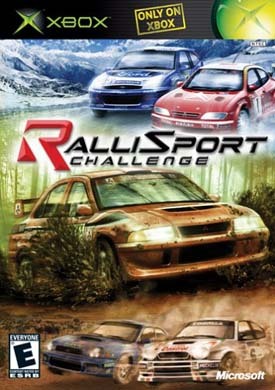 RalliSport Challenge, an amazingly realistic racing experience coming soon only on the Xbox, puts you in the driverâ€™s seat of rally racing excitemen..